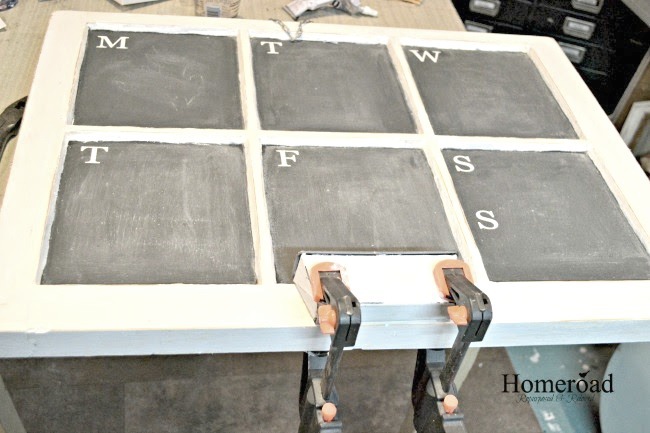 to transform an old window into a useful chalkboard. 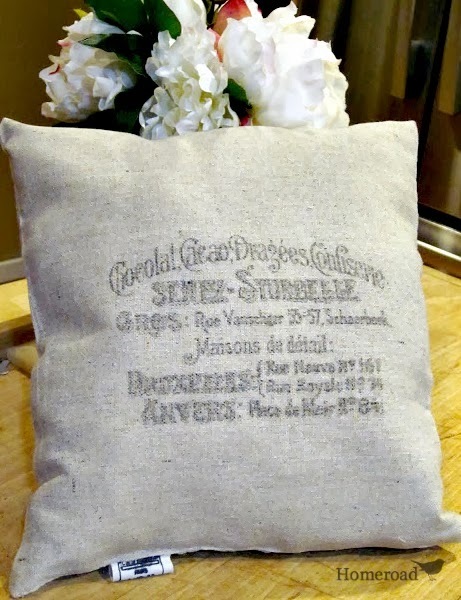 Annie Sloan Chalk Paint® in Graphite as the chalkboard paint. I painted directly on the windows. 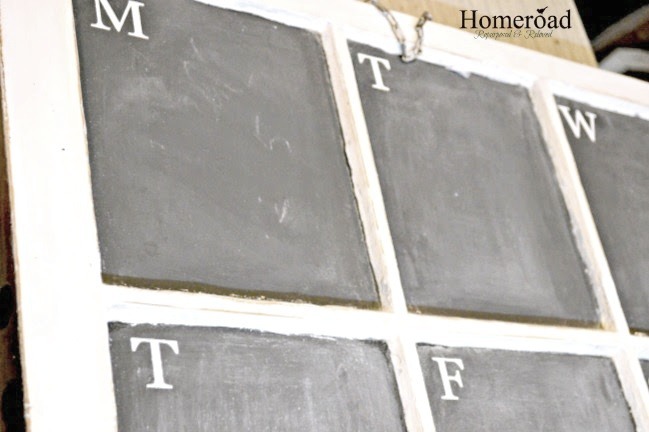 When about 3 coats dried I stenciled letters for the days of the week in the corner of each window. 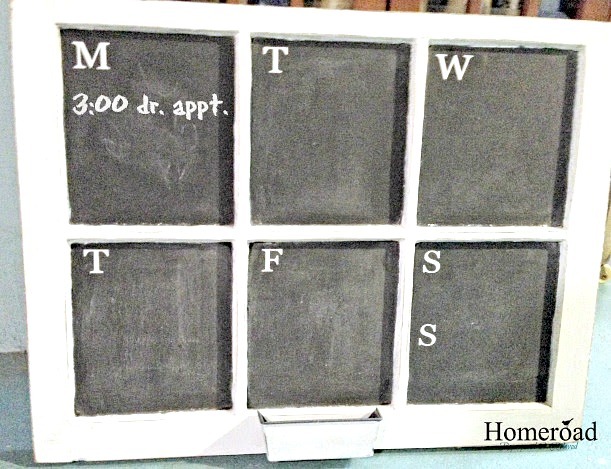 For the chalk holder I used a small bread pan that I painted then cut lengthwise in half. By the way, I love my Rockwell Bladerunner saw. (affiliate link) It does everything I need it to and is not a big scary saw! I used E6000 and a bracket to attach the tin to the bottom of the window. I used clamps to apply pressure until the glue dried. 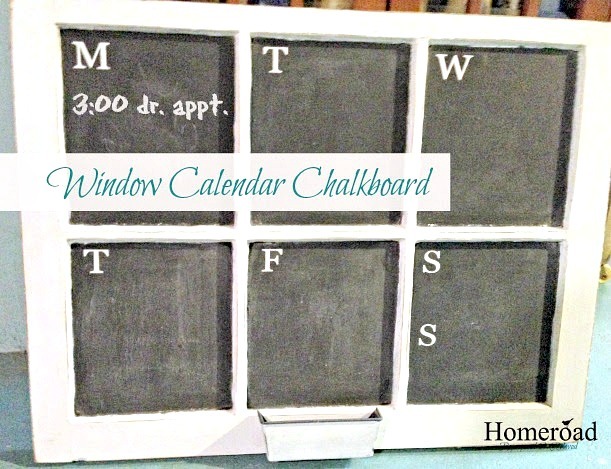 And that's my version of a window calendar chalkboard. 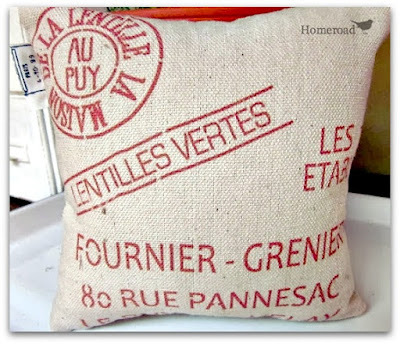 Here are a few other ideas for repurposing an old window, take a peek at each one by clicking on the title below.